Details of how to quickly and easily assess the size of a bulk lot of cards (Mouse-over) There are various ways to quickly access the size of a lot. -A MtG fat pack / booster box each hold approx 500 cards. -A MtG gift box holds aprox 2,000 cards. -30cm length of cards is approx 900 cards - So just over 1ft is 1,000 cards, meaning common card storage boxes tend to be approx 1,000 cards per row (some slightly longer). -Folders usually only contain a 300-500 cards even if full. Using these guidelines it is easy to assess the number of cards in a lot even if stored in non-standard boxes - The most useful in this case being just over 1ft of cards equals 1,000 cards. We recommened using www.parcel2go.com for shipping bulk lots. At time of writing (March 2019) it is possible to ship up to 15kgs for approx £6. Please do not send extensively filtered lots, the rates we offer assume lots will have some value in them. 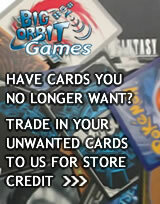 Our bulk trade system makes no distinction between the rarity of cards. 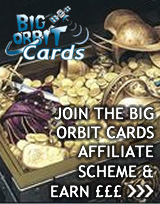 We offer a higher price per card than other sites that buy bulk commons and uncommons (or similar depending on game system) and as a result will reject lots that have obviously been filtered down to low value, low rarity and poor condition cards. Our system has been designed for genuine sellers looking to move a collection on in bulk, maybe they have finished playing TCGs or need to make space.